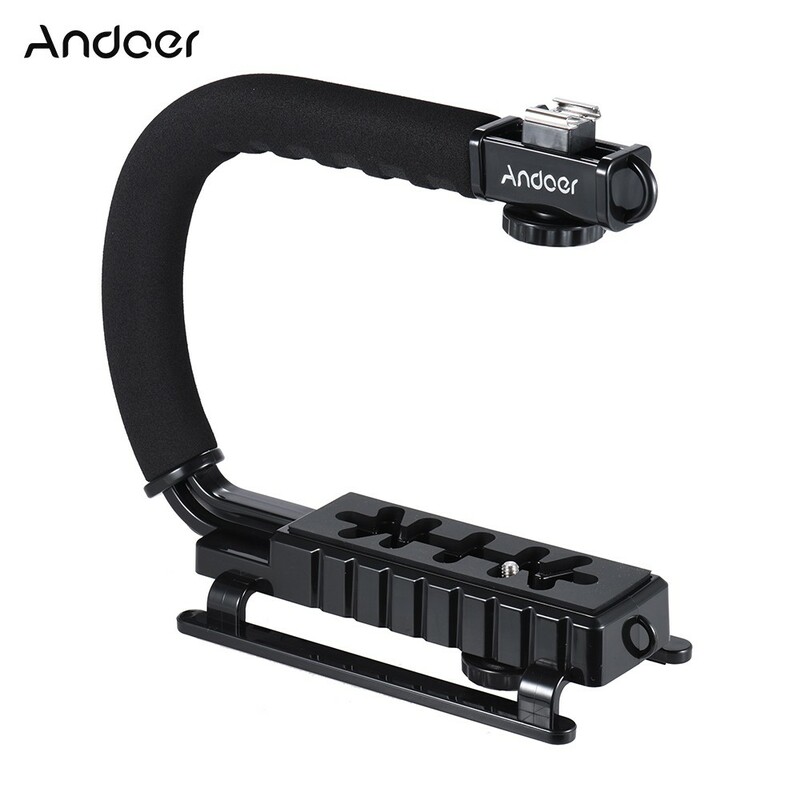 U/C-shaped handheld stabilizer for multi-angles filming, can be used for Canon/Nikon/Gopro or other camera / Camcorder. 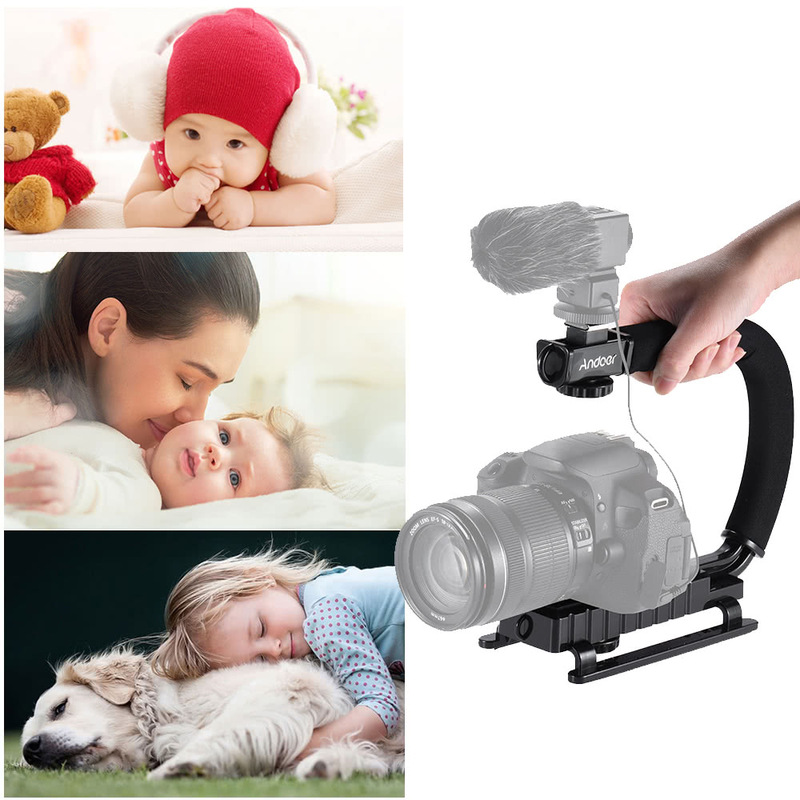 Enhance stability of video filming. 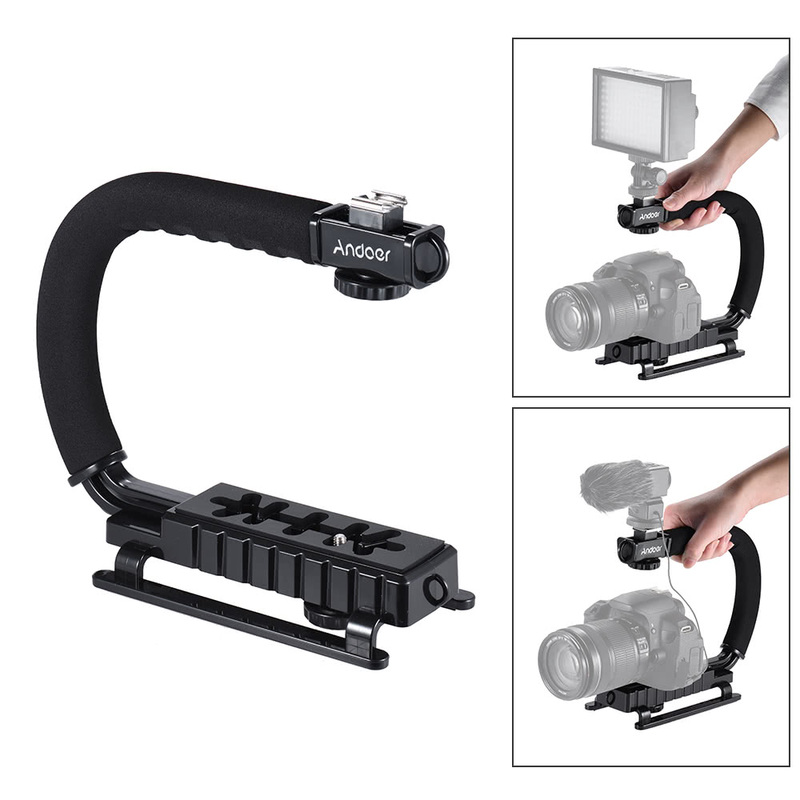 U-shaped design is great for multi-angles filming. 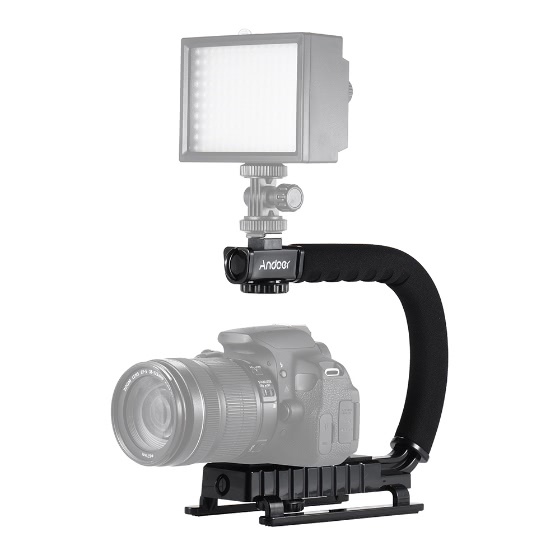 Equipped with a hot-shoe to mount microphone or video strobe light. 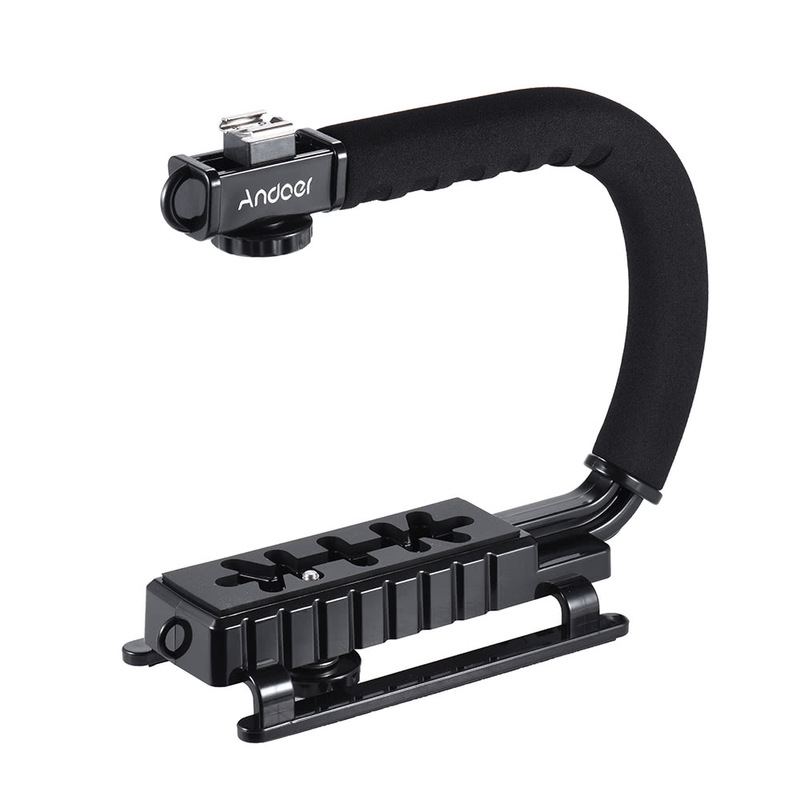 Fit with a standard 1/4" slidable screw to lock the DSLR or camcorder. 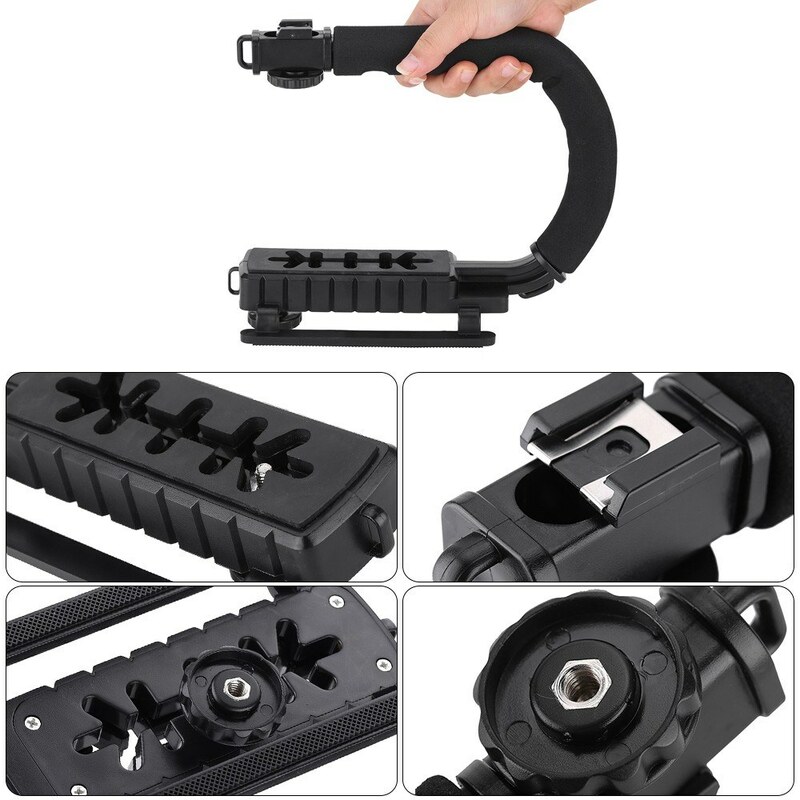 Bottom with 1/4" screw hole to mount tripod or other devices. Supplied with anti-skid foot pad to be put on a platform. Soft foam grip adds comfort and eases the long shooting fatigue. 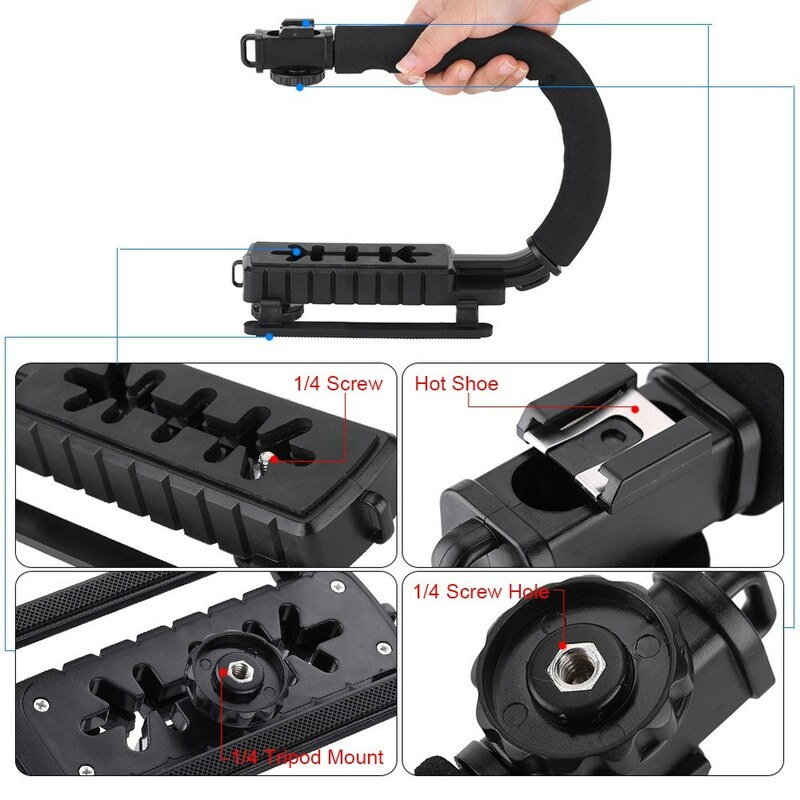 Only the U-shaped video handle is included. 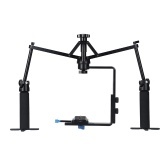 Nice alternative if you don't fancy carrying a full on tripod but are still worried about 'shaky camera' syndrome. Perhaps could have come with a case of some sort. Good price, solid and reliable. 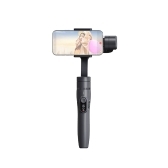 Works fine during filming with my camera. Item as described. Needs a little development to make it softer. Very lightweight and plasticky but it does what it's supposed to do and for a good price. 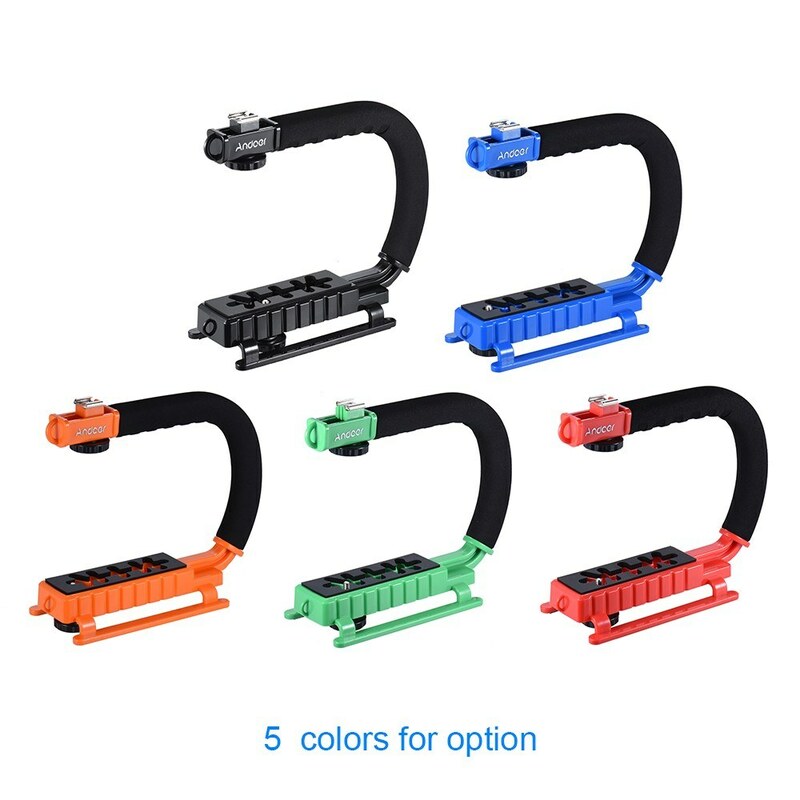 Meant for light cameras. 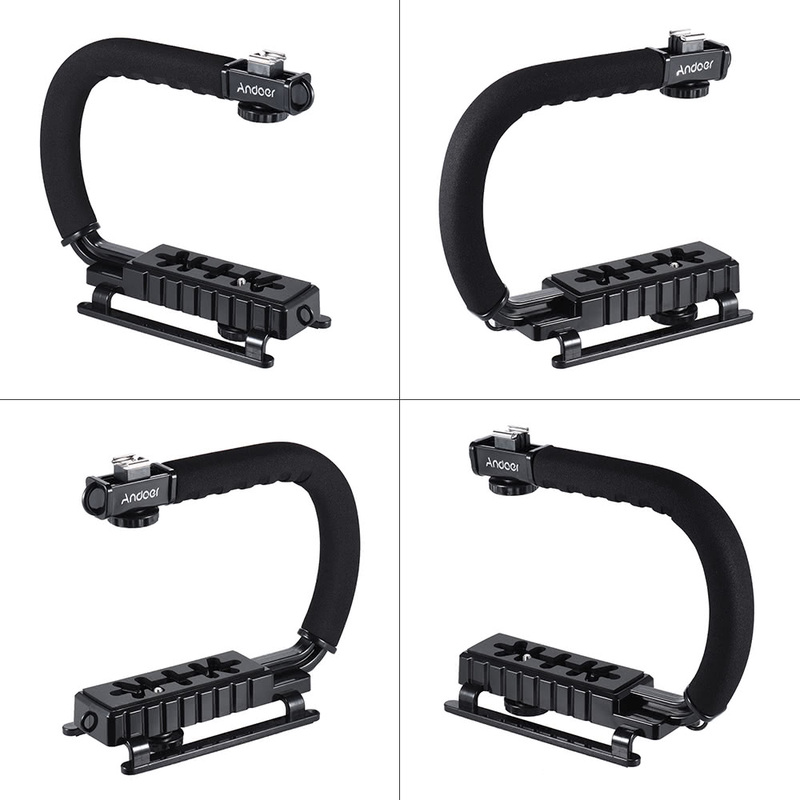 Like most video rig equipment the results mainly depend on the operator - practice how you move with the rig to learn how to keep it smooth - none of this stuff can compensate for a jerky clumsy operator! Don't be embarrassed if your shooting looks like some kind of interpretive dance. And you'll get better results if you use a separate monitor so you can see what the cameras actually doing - adds to the price but that's how the big guys do it. I don't use this product all the time, however it has been very handy at times when I needed it. Basically scenarios where I had to film close to floor level whilst moving. 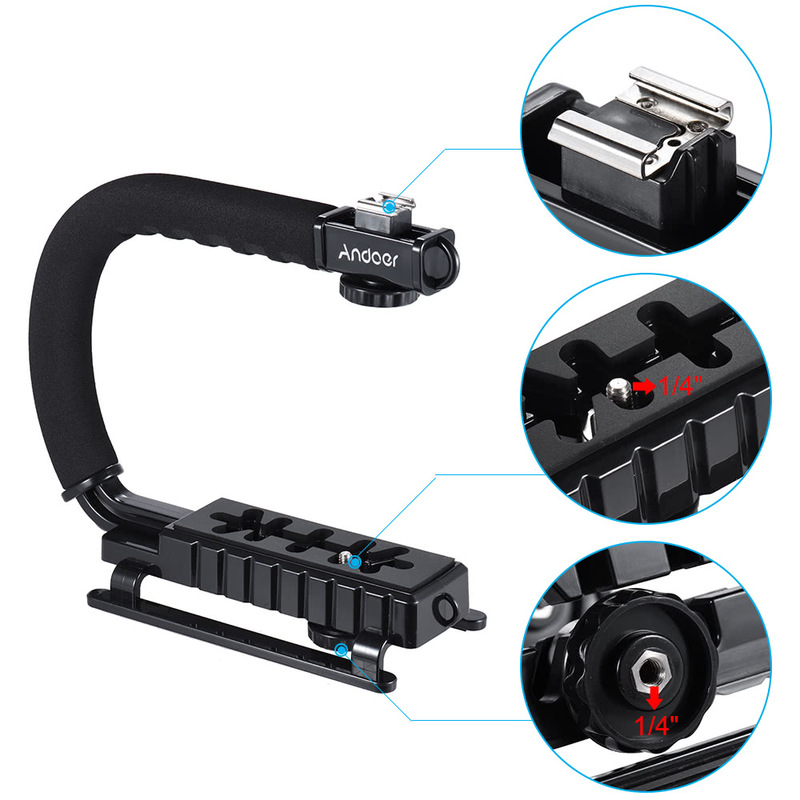 There is a 1/4" screw which can slide forward and back which allows a decent amount of adjustability, this will depend on the size of your equipment, for instance my camcorder seems to fit perfectly on it, whereas my bridge camera has space to go forward or back. If you tighten the knob appropriately then you wont experience any sliding issues. On top of the handle you'll find a cold shoe mount which I've had no use for since use, but at least it's there for those who need it. It's available for a reasonable price so would recommend. 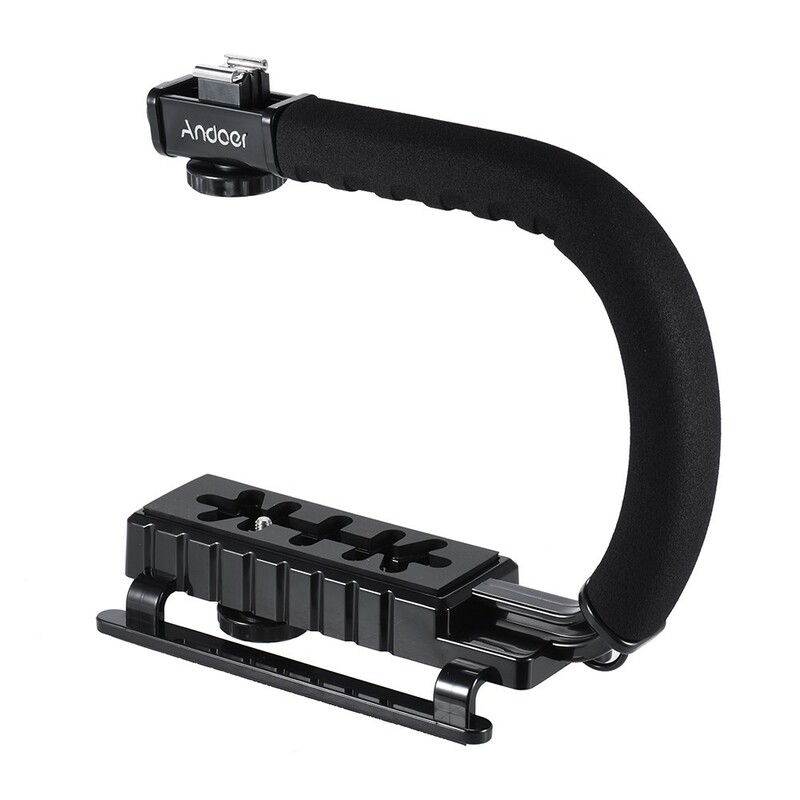 I got this as a lightweight mount for my Panasonic HDC-SD60 camcorder. It is made out of tough plastic, however it does feel quite robust. 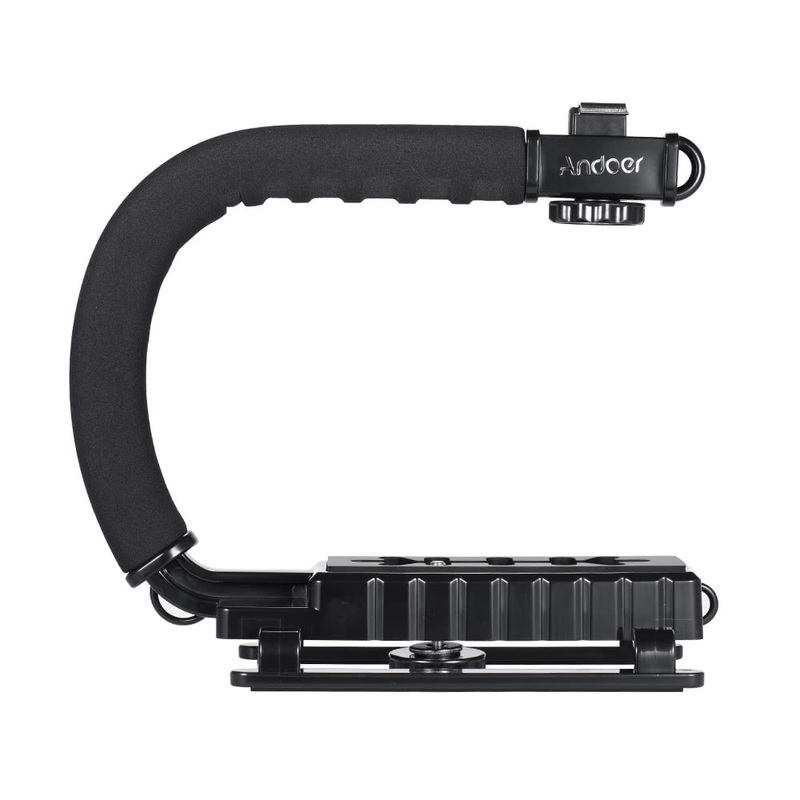 It is great for moving, low POV's and also for holding high above the head. 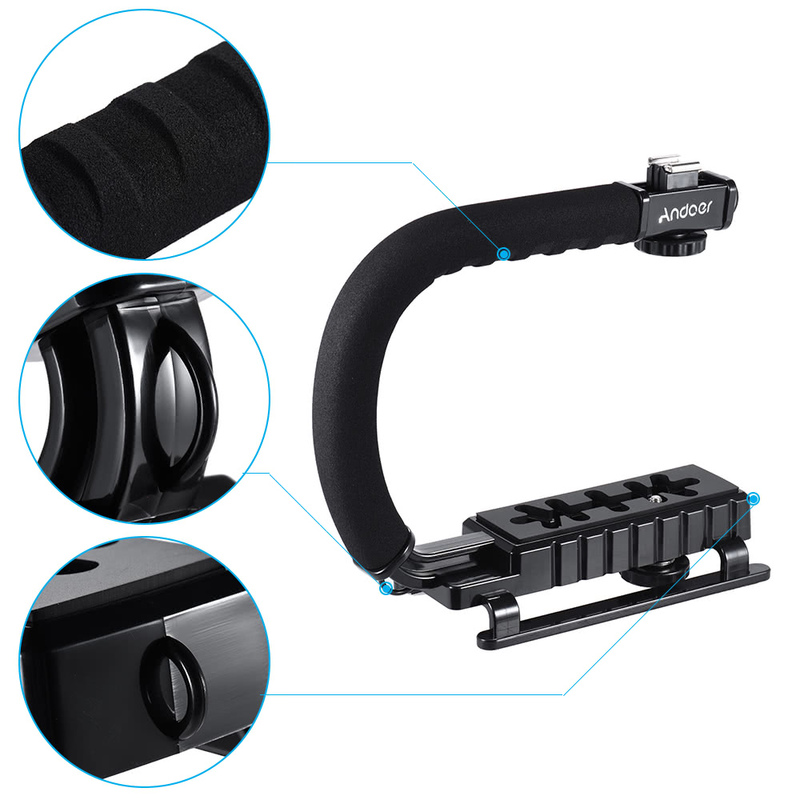 The foam rubber grip is comfortable, and non-slip. 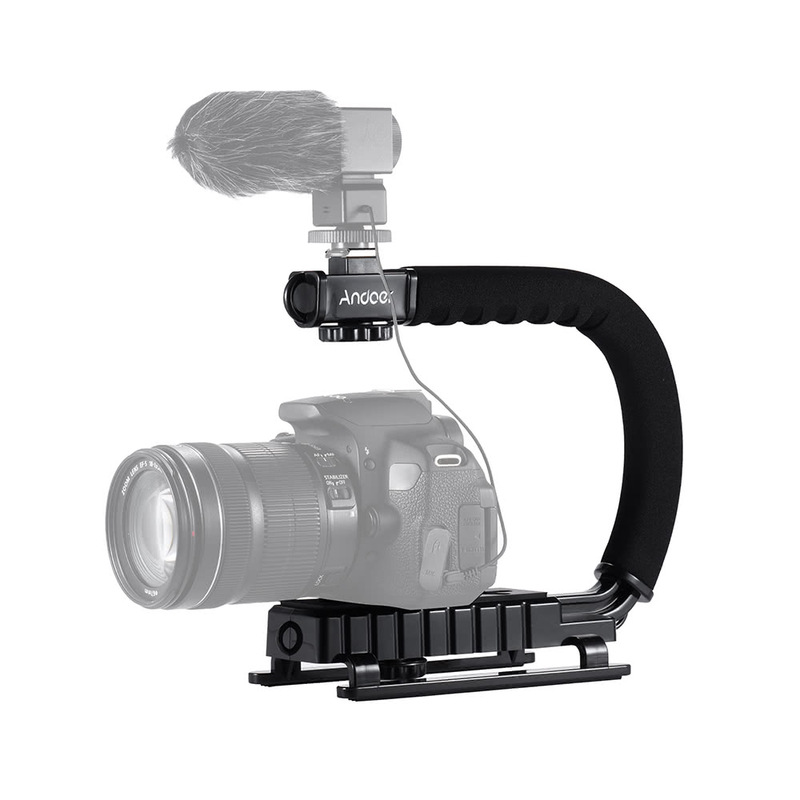 The shape of the mount allows for much more freedom of movement when using the camcorder, and it is easy to change hands to move it around. I have only done some test shots as yet, but so far the results seem to be much better than I thought, and it certainly gives less 'wobble' than the usual grip position of holding the camcorder. I have also tried it with my Canon DSLR, which is much heavier, and again it performs well, although I had to re-mount the RODE video mic which I use with the DSLR onto the top cold shoe of the mount. I also use the DSLR for video, but as the image stabilisation isn't as good as the Panasonic, the Canon is generally used for static tripod shots, but this mount gave acceptable results. In conclusion, better than I thought it would be for the price. My favourite product ive bought. Use daily for skateboarding and it hold everything and is extremely stable. Well made an the soft grip is comfy. Highly recommend. It would need a small counterweight for more proper balance, thus the four stars. It was not very convenient for me. Comfy and balanced. Stands firm on floor and in hand it's possible to do many angles. Very strong build, I tried to bend it and it's very solid. 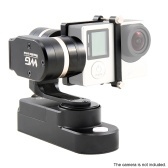 Will be using it for my barrel shape sdhc sdhc camcorder. great item thanx, fast delivery. the item was as described. 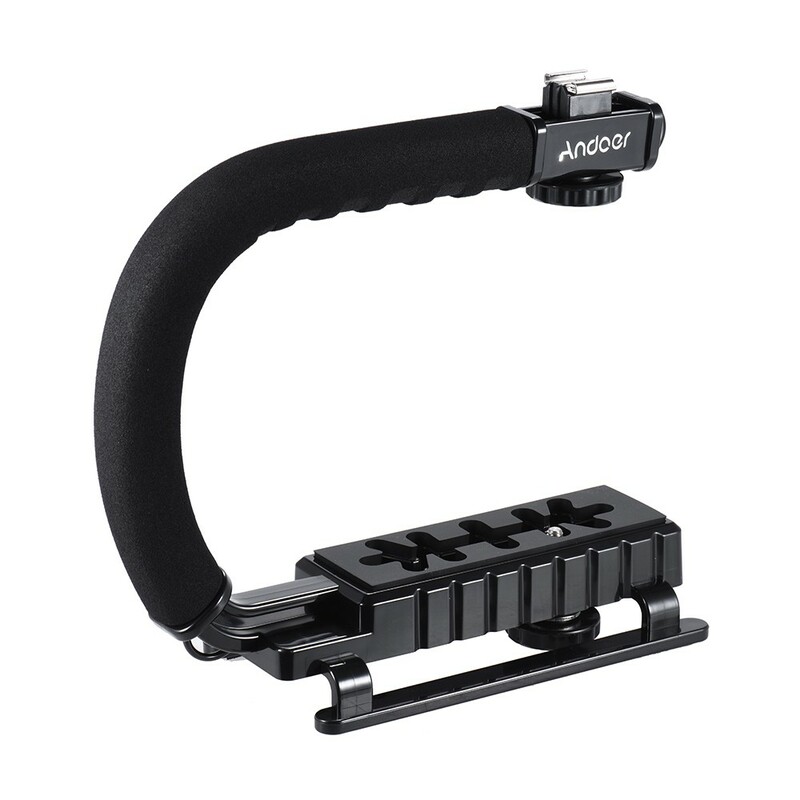 i think that everyone with a dslr should have one of there. Not a bad fixture at all, but it does feel a little too flexible at times. It's made of a stiff plastic that seems robust, the padding is adequate for several days of continuous handling. 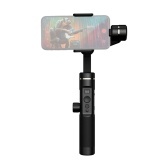 I was using this item with a 4K video camera on the main plate, and a mic input device on the top mount and after 4 days continuous shooting at the NAMM show this year it was still fine to hold. One issue I had was the placement of the legs. They are fairly sharp plastic and when you're holding the frame from underneath so you can operate the camera controls it's difficult to avoid having your hand pressed into them, which is a bit annoying. I'm going to file them down or cut them off completely. Overall, for the money, you can't do any better. It performed excellently. Although if you have a requirement that involves more energetic movements then I'd suggest buying two just in case one breaks. I was originally looking for something in aluminium but they want ten times the price of this one and they offer no additional features. Just the job for securely carrying and holding a small video camera. 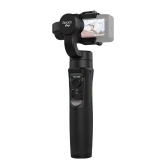 The camera remains very stable during filming handheld shots and is ideal for getting down low to the ground. Much admired by colleagues.